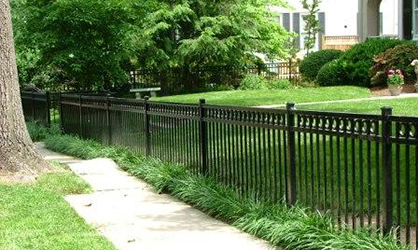 Silver Spring MD Fence and Gate Contractor offering fence and gate services and quality products for the residential and commercial markets in the Silver Spring Maryland area for almost 30 years. Installing a fence or gate at your residential or commercial property can be overwhelming. Our highly motivated and professional team is eager to accept even the most challenging of projects, guiding clients through various options for materials, design and cost-efficiency. We stock a large inventory of fencing materials that can be ready to go when you are saving you money and time. Call us today for great prices and delivery on your new fence, fence repairs, or fence additions.